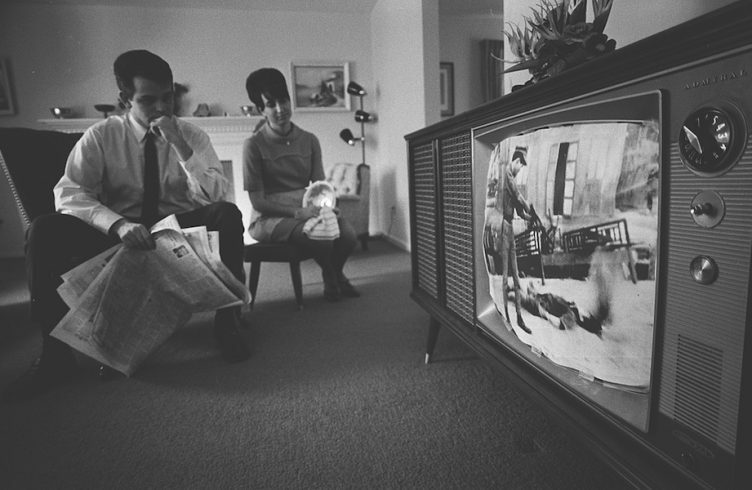 A man and a woman watching film footage of the Vietnam War on a television in their living room in 1968. Warren Leffler / Library of Congress. This article originally appeared jacobinmag.com. Pulitzer Prize–winning novelist Viet Thanh Nguyen on the self-serving stories the US state tells about the Vietnam War. “I come here mindful of the past, mindful of our difficult history,” Barack Obama said during a May 2016 visit to Vietnam, “but focused on the future — the prosperity, security, and human dignity that we can advance together.” Such a sentiment, a seeming acknowledgment and an attempt at reconciliation, has become commonplace among Americans; the Vietnam War no longer casts a dark cloud over the nation’s consciousness. This shift in rhetoric is accompanied by the United States’ reinvigorated campaign to establish Vietnam as an allied, capitalist bulwark against China — part of Obama’s vaunted pivot to Asia. The United States has sought to promote neoliberal economic policies through trade deals and sponsorship of a private university (Fulbright University Vietnam), while also lifting a decades-long ban on the sale of military equipment to Vietnam. Against such neoliberalization, false reconciliation, and historical amnesia, Viet Thanh Nguyen, author of the 2015 Pulitzer Prize–winning novel The Sympathizer, is waging a literary battle on behalf of the Vietnam War’s forgotten victims. The Sympathizer follows a Vietnamese communist double agent living among and spying on Vietnamese refugees. In it, Nguyen tackles cultural insularity, nationalism, and imperialism, which drive American cultural production about the Vietnam War. Last year Nguyen was nominated for the National Book Award for Nonfiction for Nothing Ever Dies: Vietnam and the Memory of War, a cultural history of the conflict. Together, the two works offer a stern rebuke to narratives of the past that attempt to absolve the United States and relegate the victims of its imperialism to the background. Jacobin sat down with Nguyen to talk about collective memory, US-Vietnam relations, and how to resist corporatizing universities. YC How did coming to the United States as a child refugee during the Vietnam War affect your identity and politics? VTN My own narrative memory begins with being taken away from my parents and sent to live with a sponsor family as a way to leave the refugee camp in Pennsylvania, so in that sense being a refugee was imprinted on me from the very beginning of my consciousness. Awareness of being a refugee continued throughout my childhood. I observed how my family lived as refugees trying to survive in the United States and was cognizant of the inequities of memory: how Americans chose to remember the Vietnam War that had produced me and how Vietnamese refugees remembered the war. The end result was to produce in me someone who was always aware of the inadequacies of any side’s perspective. When I was in my parent’s household or in the Vietnamese refugee community, I was seeing it through the eyes of an American, and when I was outside of that environment, I saw American culture through the eyes of the Vietnamese people. That produces some skepticism about ideologies and viewpoints. All of us who have ideologies and viewpoints feel pretty certain about the justness of our point of view and the unjustness of other point of views. I was always interested in trying to understand where different perspectives were coming from, but I was also very skeptical about each of these perspectives as well, given the sense that all groups are self-interested, and, given enough opportunity, all groups would be tempted to abuse the power they have: Americans have done it, but the Vietnamese might very well do the same thing if given the chance. That led me to being a writer, specifically a writer who wrote Nothing Ever Diesand The Sympathizer — it’s the refugee’s capacity for empathy for the outsider and the skepticism of everyone’s point of view. YC What is the role of Cold War literature and art, including films like Apocalypse Now, in shaping the public’s memory? 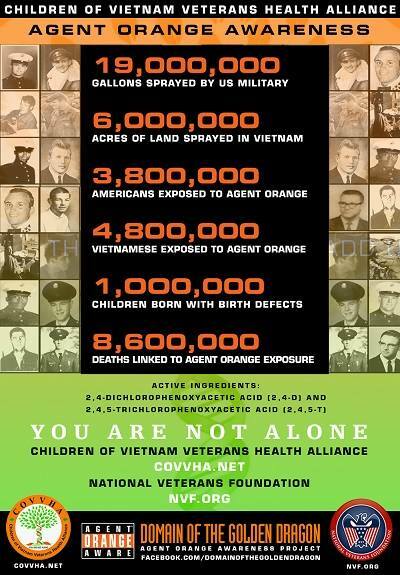 VTN The Cold War was experienced as a hot war by the countries in which the antagonists were fighting. The people in these countries are often rendered as background actors to a Western drama, even though they paid the steepest price in terms of human losses and natural destruction. The Sympathizer and Nothing Ever Dies are meant to rebut that by foregrounding the experiences of the people for whom the Cold War was hot. If we’re talking specifically about literature and film from the American point of view, we see a lot of ambivalence about the Cold War and its cost for Americans. But we also see a reiteration of the American perspective on history. 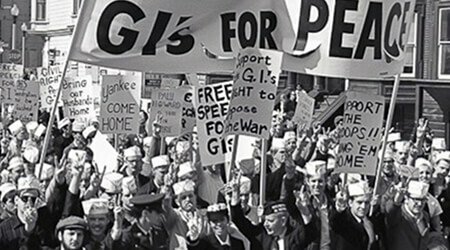 Even if these literary texts and films could be interpreted as antiwar, they nevertheless carry out that portrayal through an American or Western viewpoint, so it centers the West again. The Sympathizer is meant to contest these types of portrayals by making visible how these texts do that work. There’s a satirical section about a movie that looks suspiciously like Apocalypse Now but is really a compilation of all the various kinds of American movies about the Vietnam War. The Sympathizer tries to make the point forcefully and explicitly that America’s Cold War cultural production functioned as a kind of propaganda. Even if it portrayed the United States negatively, it still functioned as a kind of propaganda for the United States by making the rest of the world deal with it from the American point of view. YC There has been a recent emergence of popular literary fiction about the Cold War by authors of various Asian backgrounds. What do you think of this trend? VTN The American literary industry has the same ideology that dominates throughout American society, a liberal multiculturalism. That ideology is integrated with capitalism, and so just as American corporate life needs diversification in order to be possible, so does the American literary industry. This is why we see an interest in narratives that could be classified as multicultural. Even though the publishing industry is 89 percent white, it’s still interested in this sort of diversification and commodification. The very same capitalist system that drives the United States and other Western countries to engage in colonialism and war eventually leads to this desire to hear stories from different people about those very same histories. So capitalism creates the conditions by which these Asian or Asian-American or Asian-international writers emerge. The flexibility of American ideology, which is perfectly capable of acknowledging that the United States has done bad things in the past and in the present, encourages the production of stories that deal with these kinds of histories. Now, the question is, even if these stories talk about these histories, how critical are they? Do they acknowledge these histories only to eventually reconcile with the demands of liberalism and capitalism? Or do they actually try to be more revolutionary or radical? I think that the latter is actually a lot more rare. Even if you have these sorts of authors, they are not necessarily doing anything radical. What they are doing is telling the stories of their peoples, which again is completely reconcilable with a flexible kind of democratic capitalism that is willing to acknowledge its own faults. YC You’ve written that “all wars are fought twice, the first time on the battlefield, the second time in memory.” How is the memory of the Vietnam War still being contested today? 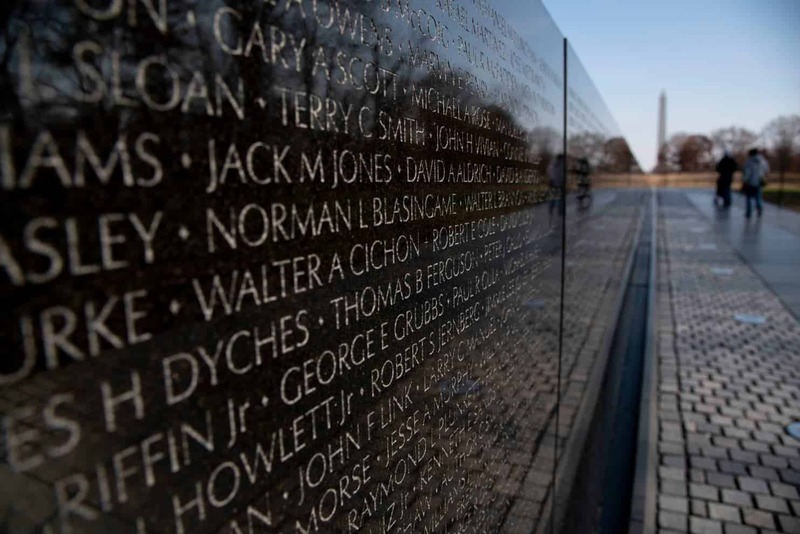 VTN Just to talk about America and the Vietnam War, the control over the past — the memory of this war — is critical in both countries because memory is a strategic resource in any country, especially the memory of wars. By controlling the narrative of the wars we fought, we justify the wars we are going to fight in the present. In Vietnam, the state attempts to tell the story of the war as a victorious one, of revolution, unification, and liberation, all of which buttresses the legitimacy of the Communist Party and its government in the present. If that history is contested, it threatens the authority of the Communist Party, which is why any kind of dissidence domestically or from the diaspora is considered very dangerous by the ruling government. In the United States, because we’re not an authoritarian government, the battle over the past is not so straightforward, so Hollywood has the license to make movies that depict the American war there very negatively. But that narrative reconnects to the American point of view, and the dominance of the American point of view is partly what led the United States into the Vietnam War in first place. 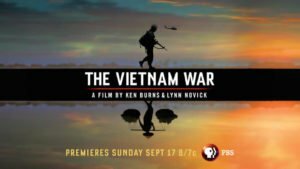 The interpretation of the Vietnam War has shifted from the negative portrayal we see in the seventies and eighties — that Vietnam was a bad war — to the present, where presidents from both parties, the government in general, the Pentagon, and the State Department have actively worked to change that narrative: it’s now considered a noble but failed war. If we learn such positive lessons we can fight contemporary wars more effectively, according to these voices. That’s an example of how control of the reinterpretation of this particular war’s legacy justifies how we conduct wars in Iraq, Afghanistan, and in other countries. YC In his book In Praise of Forgetting: Historical Memory and Its Ironies, David Rieff argues that it may be moral to forget because collective remembrance can be toxic. What do you think about letting oneself forget? VTN That’s a classic dilemma. For individuals and societies to function, you have to forget something in some way; it’s obviously a necessity. But how to remember and how to forget, those are the crucial questions. There are ethical and unethical ways of remembering and forgetting, but we cannot talk about those ethics in some kind of abstract way. We can have a code of ethics about how to remember. In Nothing Ever Dies there are ethical pathways for doing this, but I think ethics are insufficient without an understanding of inequalities. We have never had just memories and just forgetting, if the society itself is unjust. For example, in an economically unequal society where different groups have different levels of access to the means of production, there are also different levels of access to the means of representation. So it’s not possible in the United States to have a just accounting of issues like slavery. If one population has greater access to the means of production, the means of representation, and therefore the means of memory, they are going to dictate how we remember and forget, and those who are disempowered are going to feel that is unjust. The inequalities of the past are structurally embedded in the present. YC How do you analyze the United State’s warming relations with Vietnam in light of the country’s history and the Obama administration’s pivot to Asia? VTN There is a real desire for reconciliation on the part of the United States and on the part of Vietnam too, but this desire is pretty much impossible to extract from the geopolitical considerations that you mention. The United States rarely acts purely out of altruism, so behind acts of altruism and reconciliation, there’s an agenda and self-interest. The United States was interested in Vietnam and Southeast Asia in the first place partly to contain Communism as a global competitor, but also to provide a bulwark for the development of capitalism in East Asia. Even though the United States lost the war in Vietnam, it won the larger campaign for stabilizing the region for capitalist development. What that means is that America’s attempt to continue the growth of relations with Vietnam is part of the larger campaign to secure East and Southeast Asia for American interests — not just American military dominance but America’s economic dominance as well. 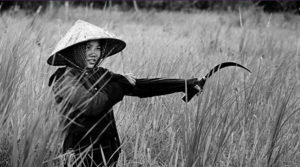 The self-interest is not just about capitalist development in Vietnam. It’s also against China. All of this must be understood in the longer history that goes back to the nineteenth century, when the United States began its expansion into the Pacific with the intent of using the Pacific and the islands therein to reach China with its marketplace — where China was not the competitor but the ultimate prize. YC Former Senator Bob Kerrey attracted controversy in 2016 when he was appointed chairman of the Harvard­-sponsored Fulbright University Vietnam (FUV). What is your opinion of his appointment and the role of the university? VTN I was disappointed for two reasons. The most obvious reason was the idea that his appointment would serve as a kind of reconciliation between the United States and Vietnam given his war history. There can be reconciliation, but not just by appointing him the head of a university. If he wanted to reconcile with his past in Vietnam, then he should go to the village where his men killed twenty innocent civilians and apologize to the survivors, and Fulbright University Vietnam should ensure that anybody from that village who wants to go to FUV can go on a scholarship. 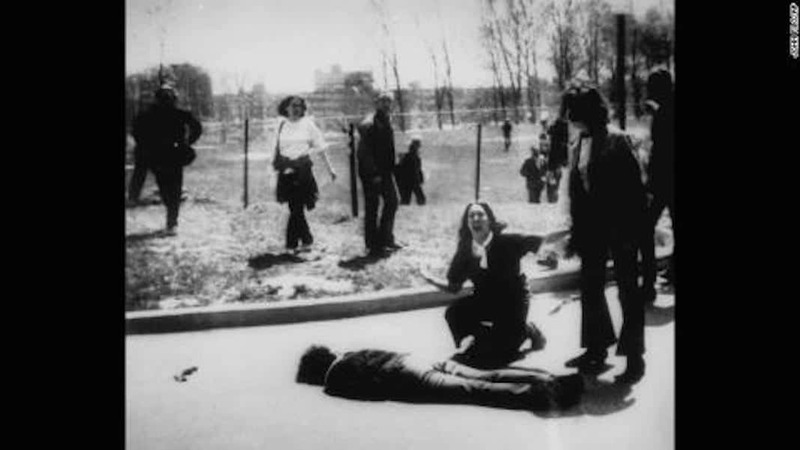 If Bob Kerrey is installed on campus as the head of the trustees, there should be a monument to victims on that campus too. Another dimension that is talked about less is the fact that he was a university president at The New School, and he was a controversial one. He is part of this national effort to corporatize academia and turn it into an engine of neoliberalism, and FUV’s presence in Vietnam is arguably going to do the same. This is an example of what the Pacific pivot means: reconciliation really serves to advance global capitalism in Vietnam. FUV’s primary purpose is to train a class of Vietnamese people as managers of global capitalism within Vietnam; that seems to pretty much be the explicit agenda of the university, the implication of contemporary Western university standards around science, technology, business management, and administration, where the humanities and social sciences are sort of an afterthought. YC What can scholars and academics do to respond? Boycott? VTN That’s a hard one, because it seems to be obvious that all of us at research universities are already working within the neoliberal system. For people like me to say anyone should boycott FUV would be hypocritical, because I participate in the system that FUV would perpetuate. But that doesn’t mean every policy these universities enact is something that we agree with or go along with, so there should be room for demanding that these institutions do more than simply perpetuate a system of economic neoliberalism. That is something that can hopefully be contested by people within the system. For example Harvard University is the sponsor of FUV and that would be an issue for Harvard academics, just as Yale academics should look at the Yale-NUS collaboration in Singapore. This issue of a boycott might not work too well in this particular instance because what we’re talking about is a need for a reformation of the entire system of corporatizing academia that led to designing and implementing FUV in the first place. YC Do you think boycotting has a role to be played in academia, for example in the Boycott, Divestment, Sanction (BDS) movement for Palestinian rights and recognition? VTN Going back to the FUV example, boycotting in the sense of not collaborating with the university or teaching for it, I think is actually a viable option. For people who are concerned about the functions of these sorts of universities in foreign locations like NYU Abu Dhabi, NUS, and now FUV, this is a legitimate way of not cooperating. In the case of BDS and Israel, a boycott can work. You’re trying to boycott something that is contained: no further collaboration with the Israeli state or Israeli academia. I think the bluntness of it is part of what makes it effective because it recognizes that colonization, apartheid, and inequities benefit everybody in that situation, and that it’s actually very difficult to try isolate that. It would have been a perfectly legitimate move during the Vietnam War to boycott the United States because everybody in the United States was benefiting from that kind of a system. I’m perfectly okay for other countries to boycott the United States now for the kinds of policies it carries out. Viet Thanh Nguyen is a professor at the University of Southern California and the author most recently of The Refugees . Yahya Chaudhry is a freelance writer and a graduate student at Harvard University.